NEW DELHI: Delhi University has released the second cut off for admission to undergraduate arts and commerce courses. The admission process based on second cut off will begin today. As per reports, 25% seats have filled at Delhi University colleges after the first cut off. 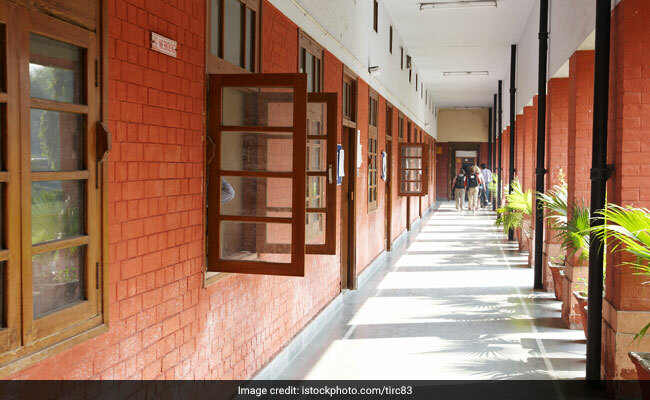 The cut offs have dipped only marginally in the second list and students who were waiting for lower cut offs may have to wait till the third or fourth cut off. LSR which had set the highest cut off in the first list for BA Programme has closed admission for half of its courses. At LSR, admission has closed for BA Economics (H), BA History (H), BA Political Science (H), BA Psychology (H), BA Sociology (H), and B.Com. (H) Seats are available for BA English (H) at 97.25%, BA Hindi (H) at 85.75%, BA Journalism (H) at 97.5%, BA Philosophy (H) at 92.5%, BA Sanskrit (H) at 65.5% and BA Programme at 97.75%. At Sri Guru Tegh Bahadur College, which is among the colleges to set high cut offs, seats have not filled completely in any of the courses. The cut offs have dropped marginally in the second list. The cut off for BA Economics (H) has gone down from 97.25% to 96.75%. The cut off for B.Com. has dropped from 96.75% to 96% and for B.Com. (H) has dropped from 96.75% to 96.25%.